Some people present with missing teeth, a condition known medically as, Hypodontia. 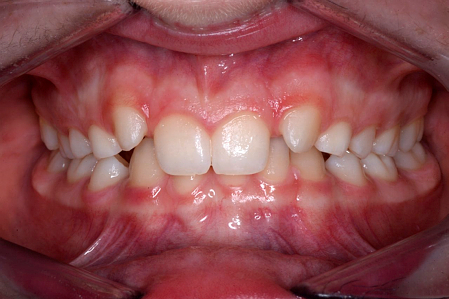 Hypodontia condition affects 2-6% of the population, people with this condition usually self-refer themselves as they are aware that some teeth are missing or the dentist usually refers them for specialised orthodontic toot movements. Orthodontic tooth movements is usually needed to make space or decrease the space available. The main reason for missing teeth is commonly due to failure of formation of the teeth during their formation stages. This condition can present itself as 1 missing tooth in the whole mouth to many missing teeth which can be more obvious even to the untrained eye. Most times this condition is hereditary, however it can occur in children without a family history. Siblings are usually affected in a similar manner however it can also affect one of the siblings, for parents with more than one child. It most commonly affects the adult teeth, but in rare cases the ‘baby’ or ‘milk’ teeth are also missing. Is hypodontia linked to other diseases? The best advice is that you ask your general dentist about the condition as it might be part of other medical conditions. Hypodontia is often associated with other dental anomalies such as small-sized teeth, delayed eruption of teeth, ectopic teeth (teeth developing in the wrong place) and lack of jaw bone which is very relevant in case the patient needs dental implant placement during adulthood. It is recommended that you look for specialists that can manage this condition. As mentioned above, a very important team member, is the specialist in orthodontics, which is the initial step in achieving a great smile. At the initial assessment appointment you are seen by Dr Stefan Abela and a detailed plan will be outlined for you. Other team members that have expertise in replacing tooth gaps and placing dental implants will play a vital role following the orthodontic treatment. Dr Milisha Chotai will guide you through this process once you are ready to have the gaps filled with prosthetic teeth. There could be an interim period where dentures are used to allow the teeth to “settle”, usually followed by bridges and/or dental implants. The majority of implants are placed after skeletal growth is completed. They may require bone grafting surgery to develop the site prior to implant placement. As a dentist I know just how important it is to try and keep your own teeth. Patients often baulk at the cost and hassle crowns and fillings and root canal therapy to save their teeth, but once a tooth is lost some important changes occur. What happens when we loose teeth? When a tooth is taken out the jaw bone in the region of the missing tooth will shrink. As more teeth are lost, a larger volume of bone and gum will shrink. The majority of shrinkage will occur in the first 6 months, but will continue for years after. Teeth that are adjacent to the tooth gap will try to close off the gap by tilting into it and the teeth in the opposite jaw may also move up/down into the gap. Gum problems and tooth decay are common as a result of unnatural tooth movement and the consequence could be the loss of additional teeth. Natural teeth can chew with 33 times the force of dentures. Dentures are not as good as natural teeth when it comes to chewing. Chewing certain foods such as meat can certainly present a challenge, as the plastic denture teeth just cannot exert enough force to chew a steak. Sticky foods also present a challenge, as they will dislodge the dentures. Blackberries, raspberries and tomato seeds find their way under the denture and cause immense pain when trying to chew. As teeth are lost the range of foods that you can eat is diminished. More processed food is consumed and this can effect your digestion and nutritional balance. We can all appreciate an attractive smile. Loosing a tooth, particularly a front tooth can impact on your self-confidence. In the past, as several teeth were lost, all a dentist could offer as a replacement was a denture. When dining out, many denture wearers can only order soft food from the menu. The dentures can slow down your chewing and it may be embarrassing always being the last one to finish. It is surprisingly common that patients are so self-conscious about their dentures that they have not even told their spouse that they are wearing them! Many patients also worry about ever going into hospital and relatives seeing them without their teeth. Missing teeth and dentures should not need to happen. 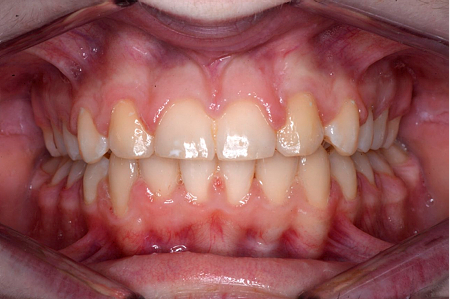 It saddens me when I hear that patients have accepted gaps in their mouth. Whether young or older fixed teeth rather than dentures really improve your everyday life. What’s better than enjoying a catch up with your loved ones whilst having your favourite meal? Dental implants are the most advanced option to replace missing teeth. They are little screws that are placed in the gums and they function just like real teeth. You can eat and socialise as you did before you lost your teeth. Saving your own teeth is always the better option if this is possible. One of the best qualities of dental implants is that they do not suffer from decay like teeth. However, the gums around the teeth need to be cared for properly. It is really important that you commit to a maintenance regime as per your dentist’s recommendations. Like most other things, you pay for what you get. There are more than 1000 implant companies on the market today – are they all good? – I do not know! There are only a handful of implant companies that have been around for a very long time and they dominate the market. These companies produce different implant types. Some implants have a special coating that makes them very expensive but also produce better results. I would suggest that you choose an implant that has a proven track record rather than searching for the cheapest possible option. Once their implants have been completed, every patient I have ever treated has appreciated the time, effort and skill that has gone into restoring their smile and ability to eat properly. So remember- always try and keep your teeth. When a tooth is lost it is often best replaced. Ask your dentist about tooth replacement options including dental implants.